Captivating and beautiful, the capital of Andalucia intoxicates and excites. It is the city of flamenco, bulls, Carmen and Don Juan; its history and culture give rise to pride, tradition, passion and joy. What better way to experience this city than to be with locals… We are fortunate to have some extraordinary friends and collaborators in Sevilla, including outstanding guides, gastronomy experts, art restorers, artists, and some gypsy flamenco musicians who provide a never forgotten experience on an insider’s night of authentic flamenco culture. By invitation only, we can also arrange afternoon tea with one of Sevilla’s oldest families in their incredible palace… Or from riches to the cape, we can provide access to young, aspiring bullfighters as they learn the art of one of Spain’s oldest and most controversial traditions. 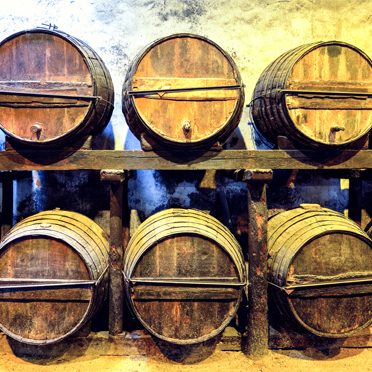 Outside Sevilla are also some fabulous day excursions to consider, such as Jerez de la Frontera which can focus on wineries and/or the horses. Alternatively, how about a Private Tour of an Andalucian Bull breeding Ranch? Or for real foodies, a highlight is a ‘pilgrimage’ to the heart of Iberian Ham… Whatever your interests, we have the knowledge, expertise and contacts to set up an unforgettable stay for you. Olé! 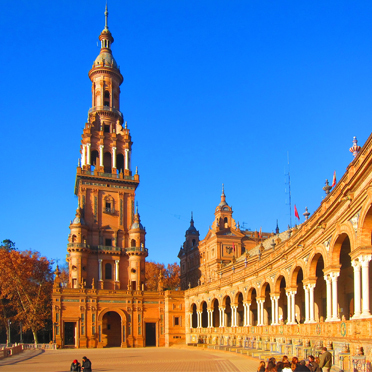 Still, make sure you give plenty of time for Sevilla itself… it’s such an atmospheric city, and usually weaves a spell over its visitors, plus there are some gorgeous properties to choose from. 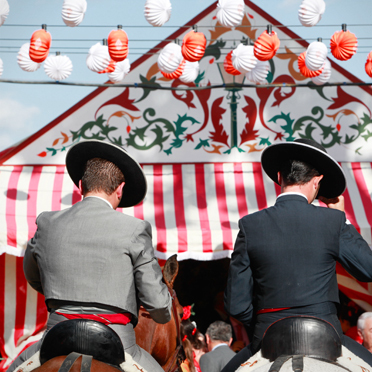 Sevilla has two special events in its annual calendar, the Semana Santa (Holy week) and the Feria de Abril. During the former, religious processions weave through the narrow streets of Sevilla, bearing immense images of Christ and the Virgin Mary, carried by robed and occasionally barefooted bearers of the brotherhoods. 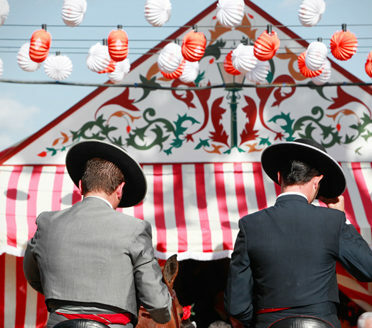 Not long after, the Feria de Abril commences, thus unleashing the joy and abandonment of the locals after the intensity of Semana Santa. More significantly, it inaugurates the bullfight season. 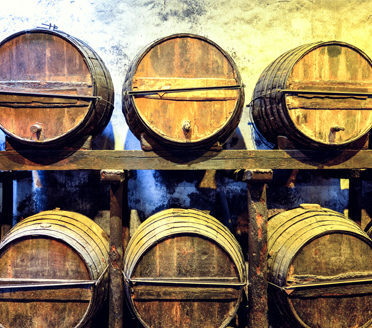 Guitars, singing, traditional dresses, horses and carriages are all on display and plenty of Spain’s oldest wine ‘sherry’ is knocked back too! 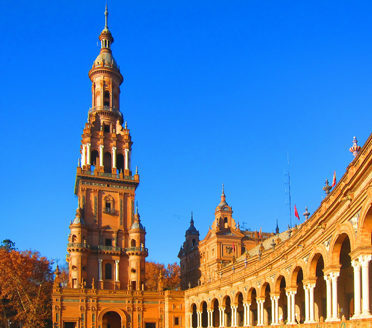 A beautiful town with some unique activities and experiences to indulge in, make sure Sevilla is part of your itinerary. Seville is a wonderful, relaxed city. Probably our favorite just because there is so much to do, or not do, as the feeling takes you. Our guide gave us great insight on what it means to be a Sevillano. He clearly has a great depth of knowledge on the history and tradition of Sevilla and he has his finger on the pulse of the city. We loved Seville, so colorful and picturesque. The flamenco show was outstanding. We loved the tapas in Seville, especially La Bulla and Azotea. The cathedral was breathtaking, and our guide was so full of knowledge he was like a walking encyclopedia….Amazing. Hank’s favorite hotel was the Alfonso XIII in Seville. I have to agree it was huge and incredible, and the rooms were VERY elegant. The visit to the palace of the Marques de la Motilla in Sevilla was unforgettable. Experiencing the chaos of Holy Week in Sevilla was a highlight.